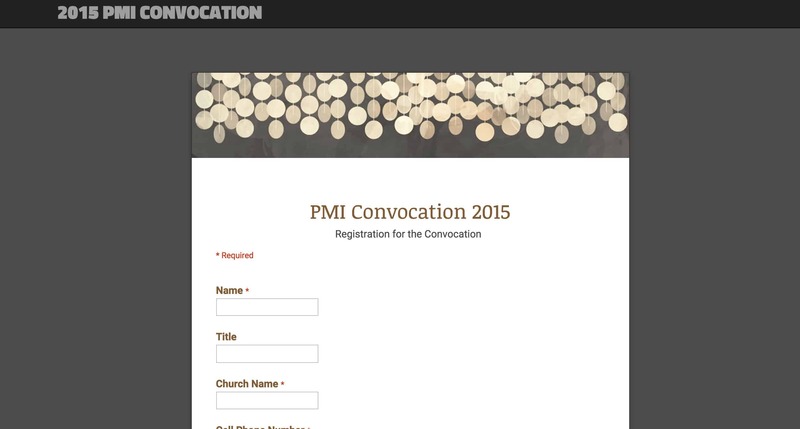 For the past few summers, I’ve helped my friend create an event website for her church’s yearly Convocation. I truly believe in helping the community in many ways, and one way that I can accomplish this is by offering free tech help whenever I can. Last year, I created a site using Adobe Muse, which allowed me to use graphics and to quickly create a site for their event. However, this year, I wanted to practice what I’ve learned about web development and I made this year’s Convocation site using Twitter Bootstrap. 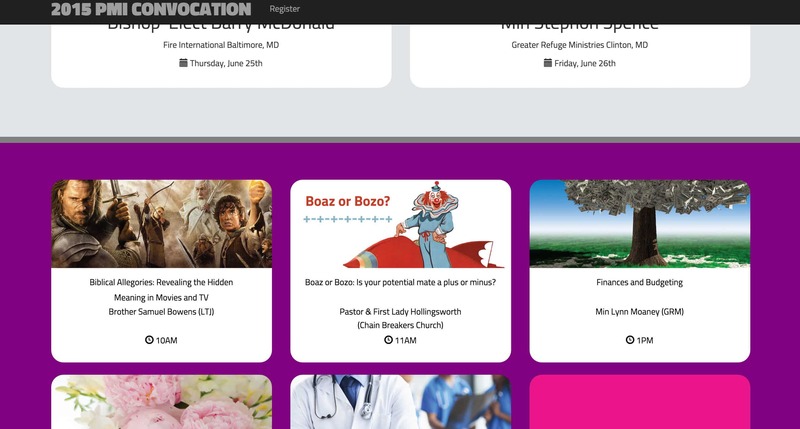 To create an event site for a local church. Bootstrap. I used Bootstrap to handle responsiveness and to create a uniform design. I used this site as practice for a better understanding of the grid functionality in Bootstrap. Google Forms. I used Google Forms for the registration allowing more flexibility within the registration process, allowing the event coordinators the ability to update the form throughout the event. I also learned how to integrate embedded content using Bootstrap. Although this site is a temporary site for a weekend event, it was good to see that I was able to build a site from the bottom up in a very short period of time. The themes and colors were all chosen by my friend, however it was cool to be able to take what they wanted and implement it with the knowledge I’ve learned about Bootstrap in the past couple weeks. I would like to use a different Framework, such as Foundation, next time. I believe that adding to my toolbox will only help me in the long run. For instance, either a different framework or no framework at all, would have been best for such a simple task. There was unnecessary overlap that could have been avoided with either using a simpler framework or eliminating one altogether.